Goichi “Go1" Kishida and William Peter “Leffen” Hjelte matched up today in Dragon Ball FighterZ at the Brussels Challenge in Belgium. During the match, a quick exchange of blows reminded everyone just how good Go1 is at this game, especially on defense. In a winner’s side match, Leffen was down his Android 21 and fishing for an opening. He went for a regular combo, a beam attack into vanish, but was met with a beam to the face and a follow-up combo from Go1. 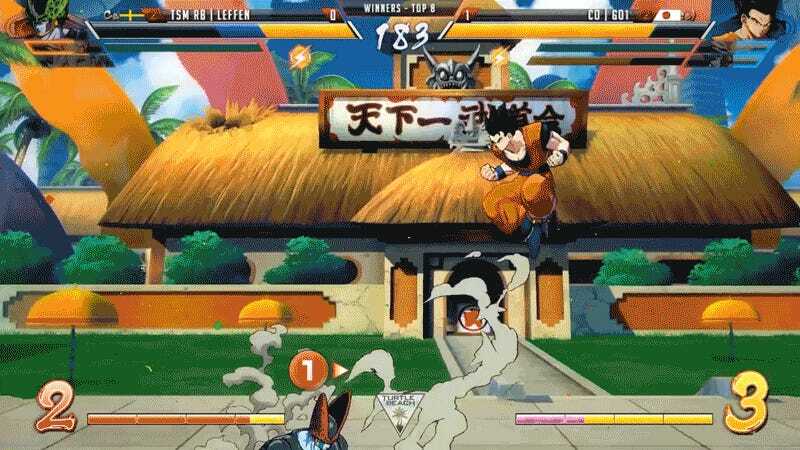 Vanish is one of Dragon Ball FighterZ unique universal moves, allowing any fighter to expend a bar of ki to instantly teleport behind their opponent and attack them. It’s not normally the safest move, so checking it by shooting a beam attack at your opponent’s face is a good way to make sure it will hit. 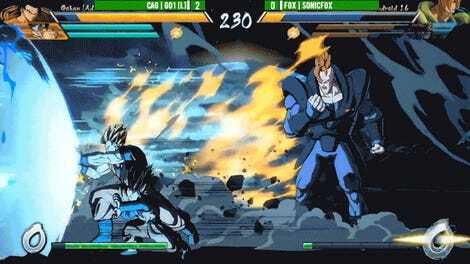 Rather than just hold block against it though, Go1 reflects the beam attack. A little risky, but if you time it right, you can have an advantage against the incoming vanish attack. Go1 reflects the beam, negates the vanish hit, then gives Leffen his own beam-vanish 1-2 punch into a full combo. It’s a high-level response happening in just a few frames, and thanks to the gorgeous art of FighterZ, looks anime as hell. It’s still a few months to go until Evo, but the Dragon Ball FighterZ train keeps gathering steam.